Why Not Ditch Advanced Placement (AP) Classes? If you have a high school student with college on their mind, chances are you are saving to pay for the myriad of standardized Advanced Placement (AP) tests they will need to take at the end of their classes. Each test, one for each subject, is $93. Students in U.S. Department of Defense Dependents Schools pay $123 per exam. The AP attraction lies with credits which will lessen the time a student spends on introductory classes in college. There are about 30 AP classes currently offered to high school students. Most of us remember when an AP class was considered something special—an occasional college prep class for college credit. But this is no longer the case. AP has evolved into the new norm of educational prowess! The more AP classes a student takes the higher their high school ranking and chances of getting into a good college. A lot of us also remember when high school advanced classes were college track and did not cost anything. There is a debate surrounding tracking students. Why College in High School? It also pays to check—some universities don’t honor AP. Or, they will only accept a limited number of AP classes. The trouble here is that most students don’t know which college they will be attending until the end of their senior year. So they take as many AP classes as they are led to believe they need to get into a good university. And take note. If you are the parent of a student from a low-income household, who has been depending on financial support to lower the cost of AP tests to $5-$15, I am sorry. The cost of an AP test is now $53 due to a written clause in the Every Student Succeeds Act. In the past a federal grant program helped subsidize the cost of AP for those in need. But that is no longer the case. Some states might come up with the money, but other states will not. This means poorer students will not be able to take as many AP classes and get ranked as high as their wealthier student counterparts. If you can afford it, your student will also feel they would benefit from practice manuals for the test which cost about $20-$50 per book. I’ve seen World History AP test preparatory books at about $60 and the Advanced Calculus manual is $146! Accuplacer is the name of the College Board’s computer-based testing section involving preparation. Students can get vouchers for this. Springboard brings the pre-AP practice to middle schoolers. Lots of publishers have gotten in on AP prep. The books teach how to take tests and about the material on the test. And that’s a big problem. AP is all about test-taking. And there is also tutoring from Kaplan. The College Board is the fat cat here. They have slyly privatized high school advanced classes. Think about it. Parents now pay for public schooling. AP isn’t the only program the College Board promotes, of course. They sell lots of tests like the SAT, CLEP, PSAT/NMSQT, SPRINGBOARD, CSS Profile, PSAT 10, PSAT8/9, PowerFAIDS, ACCESS, all which are controversial in their own right. They claim: We’re a mission-driven not-for-profit organization that connects students to college success. Not-for-profit? In 2014, a Business Insider report, and the College Board’s public 990 form, showed yearly revenues of more than $750 million. And President Trump thinks our public schools are “flushed with cash.” No, Sir. It’s the College Board that’s taking home the bacon! A consumer rights organization Americans for Educational Testing Reform (AETR) has criticized the College Board for its non-profit status. But this blog post is just about AP. Why is AP necessary? Why do parents have to pay for any of this in a public school? Another question is why does the state have to pay tax dollars to the College Board requiring teachers to take training sessions to teach AP? Shouldn’t teachers be qualified through university and state credentialing to already teach? Why can’t teachers teach advanced material to those who need it? Why don’t teachers and schools make up, or choose, their own tests? I’m not the only one noticing AP. See below for a list of just some of the articles over the years complaining about the program. Fraudulent schemes come in all shapes and sizes. To work, they typically wear a patina of respectability. That’s the case with Advanced Placement courses, one of the great frauds currently perpetrated on American high-school students. That’s a pretty strong claim, right? You bet. But why not be straightforward when discussing a scam the scale and audacity of which would raise Bernie Madoff’s eyebrows? While students jump through AP money hoops to prove they are smart, some argue the classes aren’t rigorous enough. Or, they claim that the College Board isn’t selective enough because so many students are taking AP classes. So, the College Board profits, but students, teachers and public schools are still painted as failures—a favorite scheme of the school reformers to privatize schools. It would not work for them to say students and teachers were thriving. President Trump and Betsy DeVos also repeatedly refer to public schools as the “status quo”. Well, if they really believe this, why aren’t they criticizing and investigating the College Board since they have so much control over American high schools? The College Board is connected to private and parochial schools too. Focuses too much on teaching to the test and memorizing facts. Separates students by tracking them. Is standardized. Students learn the same material. Demonstrates little improvement of student success in college. Doesn’t account for students who would succeed without the program. Crams too much material in a short time for students to learn. Uses students to make schools look good. Causes undue stress in ambitious teens who want to do well. Might mean students miss out on extracurricular activities. Doesn’t address the needs of students, especially gifted students. Might neglect science labs or projects in other classes. Is seen as an elitist program. There is a tremendous amount of homework. Currently, parents feel pressured to have their students in AP, and students feel anxious to pass those tests. David Coleman is the CEO of the College Board. Yes, that David Coleman—the Common Core king. He is said to earn $550,000, with total compensation of nearly $750,000. Gaston Caperton, his predecessor, received a $1.3 million salary. AP has become entrenched in high schools across the country, and it would be difficult to get current high school students to give up AP. But parents of younger students might plan ahead and organize to end AP. They might address this before their school boards and push for change in the future. A New York school Scarsdale High School said no to AP classes. And some private schools have eliminated AP. Their students have still gotten into good universities. In 2014, in Baltimore, parents and educators were demanding administrators be more upfront about the “demands” of AP classes. If parents are concerned about losing college credit, perhaps they could work with universities to re-frame what alternatives they consider acceptable to college admissions. This country got along for decades without students overdoing AP. There’s really no reason students need it, other than to make money for the College Board. Berger, Joe. “Demoting Advanced Placement.” The New York Times. Oct. 4, 2006. Break Out of the Race. Jumping Out of the Rat Race: AP Classes, Rankings, Testing and College Admissions. Online. Gewertz, Catherine. “Schools Grapple With Fee Hikes for AP Exams.” Education Week. Jan. 17, 2017. Hu, Winnie “Scarsdale Adjusts to Life Without Advanced Placement Courses.” The New York Times. Dec. 6, 2008. MeServe, Jack. “The SAT May Have Been Changed to Help the College Board Maximize Revenue.” Business Insider. Mar. 7, 2014. Tierny, John. “AP Classes Are a Scam.” The Atlantic. Oct 13, 2012. Steinberg, Jacques. “Many Teachers in Advanced Placement Voice Concern at Its Rapid Growth. The New York Times. April 29, 2009. Yilu, Zhao. “ High School Drops It’s A.P. Courses, And Colleges Don’t Seem to Mind. The New York Times. Feb. 1, 2002. Thanks for sharing, Janna! No need for outside group to do what can be done by teachers and schools. Sounds like a choice to me. Availability to take AP courses and college classes pre high school graduation sounds good to me. I believe it can raise the bar in some districts so have at it. Why can’t this be done without AP and not driven by this notion that students must do college work in high school? There are several issues in play. Probably the most insidious are (1) GPA calculation formulas that give an extra boost to AP courses, and (2) high school rankings that base part of their calculations on the number of AP courses a school offers and the percentage of students who take one or more AP class. As long as we live in a culture in which we need to have the “best” school and have our child be the “best” student, there will always be a market for AP exams and the like. Absolutely! Best…Best…Best…really pretentious and unhelpful! Thank you, Jeff! Well said! Why is striving to be the best a bad thing? Why be okay settling for mediocrity? I took AP classes in high school and loved most of them, they were more interesting, challenging, and I was able to get college credit for them. 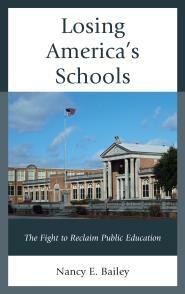 It is difficult to define the meaning of best when it comes to public schools. Throwing the word around in most cases has to do with test scores which are both unreliable and not all-encompassing as to how a student does. And AP is heavily reliant on testing. Many believe it is teaching to the test. Neither the state nor anyone else has to pay for training sessions. Teachers ARE qualified via university and state credentialing. Any training sessions are voluntary. They might be helpful but they are not required. “Why can’t teachers teach advanced material to those who need it?” They most certainly can. “Why don’t teachers and schools make up, or choose, their own tests?” Many do. Don’t want to pay for an AP exam? Don’t. No one will force you to take it. The College Board and its AP program are far from perfect, but you are blaming them for systemic problems well beyond their reach. They don’t have a corner on promoting an overly competitive, unhealthy, test-obsessed culture in schools. Corporate America, government, post-secondary schools, and parents are even more culpable with their demands for educational rigor (sometimes just racism/classism/nationalism, thinly disguised.). AP can be used well or poorly like most educational programs (IB, CLEP, dual enrollment). Stakeholders MUST take the time to become informed and stand strong or these damaging trends will continue, with or without AP. Most states or districts expect teachers to take workshops or coursework to be able to teach AP. It may not be mandatory, but the teachers who do it will most likely be the ones to get to teach AP. Colleges might be involved. But it is the College Board in control. Sometimes the College Board pays a stipend. But most schools feel they must do the program, and many parents demand it because they feel it is the only way students will get advanced material. And by stakeholders I am assuming you mean parents? It often refers to corporations. Teachers, of course, can teach advanced work to students in Honors and other classes. But many students are now being driven to AP—the whole point of this post. And the College Board is corporate. The AP is an important and reliable indicator of whether and how a student masters materials. Community college courses have no oversight, and as college faculty, I have no idea if these match our intro courses. So, we are less likely to accept them, and less sure that students will succeed in our subsequent courses. The AP, so far, has been a really reliable indicator of student success. Reliable? Well the research shows that students who take AP and do well, probably would have done well anyway. It is hard to determine causation. Here is a description of the study. I wonder if so many students are developmentally ready in hs for college material. I mean, what the heck is the rush? Thanks, Nancy. I meant reliable in the sense that it – unlike a community college course – can tell colleges how well a student masters material. I don’t mean to say that taking an AP course is like taking a college course — there are too many variables! I see. Thanks for clarifying, Deb. I hear you. Actually, College Board has no oversight and no audit process for their AP exam administration. A student can easily get a random number on free response section which is then added into total AP grade, and you will not be able to find a free response grade, or multiple choice grade, or any details of the grading. There is no appeal process or even any process to find how your test was graded. Because it is a private company, Freedom of Information Act does not apply, and they are free to do whatever they want without any oversight. These bad situations with random grades don’t happen very often, but when they do you realize how little oversight is there. AP really is a fraud. It makes me ill to concentrate on preparing for the AP physics exam. These are not really college coursed because the atmosphere is completely different. These are high school kids and they act like high schools kids. Some of them are quite bright but they should be engaged in high school activities: ASB, Sports, Debates, Pajama Day, nerd day, clubs, etc. These experiences and important social development activities should not be taken from them. The flourishing of non-profits are a problem. Non-profit charter schools in a mall here in San Diego are paying the founder nearly $500,000 a year. The non-profit California Charter School Association has a number of people making 6 figures while working to privatize public education and College Board is a huge business that keeps increasing its revenue stream on backs of parents. I think the students who do well in AP classes will quite naturally be successful in college, but they will have had their high school experience diminished, put under undo stress and given a large financial burden. The costs are just to high financially, developmentally and in terms of equity. This financial juggernaut needs to be ended. Stand up for free K-12 public education for all. Let’s stop this charging for art history classes in 10th grade or AP government classes for 9th graders. It obscene. You really expressed the heart of what I meant! You said it better! Thanks, Thomas! Having taught AP English Literature and Composition for 15 years (and AP English Language and Composition for 2), I have a different perspective on the program. I will grant the corporate aspect of AP and the College Board is a concern, however, the benefits to students and teachers outweigh the drawbacks. Rigor is a primary emphasis. No matter what AP classes are meant to challenge students to expand their horizons with rigorous content. This has consistently been the case in classes I’ve taught and those of many of my peers. After a number of years in a single school, I took three years of one-year substitute positions which needed an AP teacher. I taught my own syllabus in each case and found students up to the challenge. In a number of cases the school had articulation agreements with nearby universities and in most cases my students who took college courses indicated mine was more rigorous. The AP program has made a commitment to equity. When I started teaching AP the general attitude was elitist, but that has mostly evaporated in my area. I have made a point of encouraging students to enroll in AP classes that would not have ‘qualified’ 15 years ago, and in most cases the student growth has been remarkable. I also emphasize class discussion and the sharing of different learning styles and perspectives. There’s nothing as powerful as discussing great literature or essays within a group of diverse learners. AP programs emphasize professional development and networking. I participated in three AP workshops and found them all to be positive experiences, especially compared to the insipid district-level professional development I was required to attend. AP materials, exams and scoring are the result of the collaboration of teachers from across the country, not developed by non-educators. AP English is developed and moderated by AP English teachers. Period. After a stint of teaching in New Zealand, I applied their use of standards to my AP classes and found it made sense to use the same model for all my classes. “If it’s good for the best, it’s good for the rest.” The complexity of texts may vary but the challenge doesn’t. Writing workshops work at any level and again can be modeled after the AP program. The exam is an opportunity to practice performance in a high pressure, time sensitive, environment. I have done what I believe is a moderate amount of prep work for the exam, emphasizing to students that it is one way of demonstrating their abilities in a given field, but not the only way. Some are destined to do well and some not, but the course and the class allow for other ways for them to demonstrate their mastery of the subject. I don’t place exclusive importance on the test score. Indeed, last year my best two students scored 2 and 5 out of five, and one of my stragglers scored a 4. The ‘2’ student grew progressively in her writing throughout the course and will be successful in her college career. The exam is one way to demonstrate mastery but not the only one and as long as we keep that perspective, it can still be a valuable experience. I would note that the exam fee is waived in some districts and disadvantaged students do have the ability to participate. While your rambling essay suggests the end of the AP Program, you offer no alternative that is as rigorous, no alternative that provides a consistent challenge to students regardless of background, no alternative that is designed and moderated by professional educators in their own subject areas, and no alternative that has as valuable a professional development component to it. While not perfect and often characterized by its corporate connections, the AP program continues to thrive in schools where elitism and screen-based curriculums are discouraged. One, I fail to understand why good teachers such as yourself need an outside corporation to tell them how to teach. Three, One of the problems with AP is the pressure on students to do “rigorous” college work before they are ready. Four, Ed. 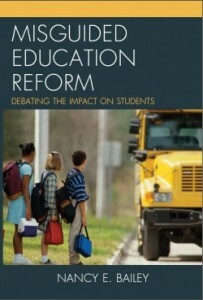 Week reported that the test will cost low-income students more, and not all states will offer support. This does make AP an elitist program. Poor students can’t afford all the test-prep books either. I think a lot of students who take Honors courses see AP as elitist too. The answer, in my opinion, is well-designed Honors courses and qualified teachers who understand individual needs and inspire students. And to quit pushing high school students to take college courses. What’s the rush? It’s apparent the issue for you is the ‘corporate’ overreach of education and I share the concern to some degree. However, the AP programs (English Literature and English Language) I’ve been involved with just don’t fit the the pejorative narrative you’re spinning. Guidelines, criteria, test questions and curriculum are chosen by teachers, not by some faceless corporation. Design of syllabus and choice of texts is entirely up to the AP teacher. Yes, AP students will do well in college and we hope others will, too. All students can benefit from the enrichment of an AP course. Many schools are offering dual-enrollment courses and for the most part, these are great opportunities for students to measure their ability to perform at a college level, earn credits at ridiculously low cost and take courses that schools can’t always make available. AP is another avenue for students to challenge themselves. It’s an option, not required, but certainly encouraged. As I indicated in my post, the College Board has made an effort over the last 5 years or so to encourage participation regardless of the student’s background. The perception that these are elitist is not based in current reality in schools I’ve taught in. The words rigorous and pressure may be used in the description of AP classes, but increasingly the approach has been one of challenge and opportunity. Most powerful of all is the word encouragement. I used to lead youth wilderness adventures and found that in any group, some participants doubted their ability to summit a high peak, but most all can and just need the encouragement to do so. And when they reach the top there’s a tremendous sense of accomplishment. As an AP teacher, I find that encouragement leads to students taking on that challenge and achieving great satisfaction as a result. We can rail against the corporate aspect of the program, or we can choose to work with other teachers in the program to encourage, challenge and enrich students’ high school experiences. Although I love to read your blog, I think some of the things you say really obliterate opportunities for kids who love to learn. I can see how kids would be pressured to take classes that weren’t for them, and I don’t think they should be. But don’t throw out the baby with the bathwater! I took AP European History, English, and US History, and they were hands down my favorite high school classes. I loved them because they required us to go deeper and do more. I learned a ton. I don’t think my university accepted AP history test scores for placement (although they accepted my ACT scores for biology, which I hadn’t taken since the ninth grade and knew virtually nothing about). But that’s not what I chose my classes–I loved history and wanted to take history courses in college too. I’m very sad that so many people want to stop offering challenging courses just because not everyone should be in them. There is not much offered at school these days for kids who love learning. There are some academic teams, enrichment activities parents have to pay for….why take everything away from kids who want to learn at that level? Wouldn’t it be better to make these courses electives and/or to make the syllabus available prior to the registration period so kids can get an overview of the course? I can’t count how many posts I have written in support of the arts and other forgotten subjects in our public schools since NCLB. I think with AP classes students will find some excellent teachers and others who aren’t so great, just like other classes. My question with this post is why do we need a corporate program parents pay for to tell us what students should learn? Teachers were doing this well for years without AP. It seems much less corporate than other offerings in education today and was absolutely the most exciting curriculum I encountered in high school a billion years ago. I gave the curriculum credit to the teachers, though. They certainly seemed to teach it well! We read The Faerie Queene in English. No other class offered it. It was the most–maybe the only– challenging work of literature I encountered prior to junior level college courses. I would have never read that on my own, but that experience still gives me the confidence and patience to push myself through difficult texts. I would not have been able to take European History without the AP program. It was the only European history class offered. Fulfilling the requirements of the AP program was also the reason why it was offered. This is all just my experience, of course. But while I had many good teachers, the AP classes had good teachers and great curriculum. Notice that I did not take too many AP classes, I didn’t take AP classes that I wasn’t interested in or wasn’t ready for, and I didn’t take them with the goal of receiving college credit. Maybe that’s where the problem lies. And I know you see IB as a different issue, but the IB Primary Years Programme has made all the difference for my child’s education. It holds the school accountable to much, much, much higher standards than our state does. It’s more about the experience and the exposure. Too many of our students enter college unprepared because general level or less rigorous classes render false, unrealistic expectations when it comes to college. Unfortunately some teachers fail to challenge our students if honors, AP, or IB isn’t attached to the class. I disagree that only Title One school’s students don’t have to foot the bill for the AP assessment; however, All high school students planning to attend a college or university should take atleast one AP class, especially in literature or language composition because the experience supercedes the test. Too many students are taking less challenging classes receiving high GPA’s and still unprepared for the rigors of college. Yes AP class can cause stress at the high school level, but this also occurs because parents are pressuring their student(s) to take too many AP classes. Parents must give their student(s) autonomy with guidance of course when it comes to their student taking AP classes. AP classes are worth keeping because the experience and exposure is priceless. I’m sorry. I must disagree. There is no research to indicate our students were not and are not prepared for college. Poor students have lousy schools and lack the resources wealthier schools have, but students in general do very well and many have been accepted into good universities for years. They were well-prepared before AP and they are still well-prepared. The question is whether AP is necessary. I don’t think it is. I am sorry but I must disagree with you . I have studied in the USA and what I find is that students are not able to perform well at even the middle school level . You say that your students are well prepared ? Many international educators will laugh at that statement. I now study in Hong Kong and in this city students are really prepared to attend university . Our HKALE exams are considered the most difficult exams in the world, and students who took them found real success in tertiary education. What I mean is students in Hong Kong studied quite well in years 2, 3, 4(4-year program) and not just the first year. To conclude , Hong Kong students have had to take the HKALE in order to be qualified . The AP is much easier compared with the HKALE , yet you insinuate that the public should rally and eliminate the AP . This will leave at least 80% of all US students disadvantaged compared with their international peers. The USA is a strong country , yet I must agree with the foreigners who say that the education system there is in poor condition. Thank you for taking the time to post, Phillip. I am happy to hear how well you are doing in Hong Kong. I am not sure how your educational system is set up there, but in America we don’t separate students into vocational areas early. Most countries do. We test everyone! Thus, there will be students who do exceptionally well, those who do average and those who have a difficult time in school. Even if I agreed with you, students have been taking the AP for many years. If what you say is true what good is it doing students? I am not sure specifically why you think American students don’t do well, but as a teacher I can tell you that there are many fine and bright students that go on and do very well in life AP or no AP. They are creative too. You sound bright too and I wish you well. I’m sorry you did not enjoy your school experience in America. Thank you Kathy , and I know many American educators have tried very hard to teach their students. It is just that I do not think American teachers are given the right motivation and as a result they give up halfway . In Hong Kong , even for the HKCEE , our teachers are given much aid in teaching their students. What I am trying to say is it is too early to give up on the AP . I recommend that the AP program stays and instead of teaching students to memorize hundreds if not thousands of facts , I recommend you follow Hong Kong/ Singapore’s method which is teach a little but go into much depth . To conclude, getting rid of the AP would do America’s next generations a huge disservice . Charlie, I could not agree more with your post. I have worked with the AP foreign language courses closely. Teachers – both high school and college – set the course objectives and write the test questions. The College Board listens to teachers closely and absolutely lets them take the lead on pedagogy and assessment. These committees also rotate regularly. You both, Deb and Charlie, sound very convincing, and I appreciate your comments. But ultimately with AP, teachers must teach to the standards outlined by the College Board. Students must pass the tests at the end of the course to get college credit. Why should a select group of teachers get to select the objectives? I wonder too how much these teachers get paid for their input on the tests? And so far the research that AP is better than Honors or high school coursework without AP just isn’t there. This is really an argument for and against set standards designed by outsiders. And a huge criticism of many AP classes is the pressure tied to getting students to pass the exams. I’ve known of AP science classes who do few if any labs. I’m also sorry to see so many people buying into college in high school. I taught high school and have known outstanding teachers in all areas who understood the needs of their students and did not require AP to present challenging coursework. Hi Nancy, I feel like this is a follow up of the last article you wrote. The abuse of students for the sake of competition, being the “best” whatever that may mean. Seems like you have several brainwashed respondents to this article. They are either defending their jobs, or defending that they are pushing their kids with no understanding of human nature or how we really learn. I hear you!. No one is mentioning that the College Board is a multi million dollar earner. Many corporations are benefiting from these tests… and are children really benefiting?. Maybe colleges need to stop enforcing students to retake all those high school courses. I know many kids take these classes so that they do not have to repeat them in college. You made some great points… Is it really an indicator of how a student will preform in college… I think that idea has been fed to us by the College board. Ultimately, We learn because we are interested, we learn because we are inspired, sadly we learn because we are brainwashed and told How to learn, what to learn and what the consequences will be if we don’t tow the line. As always, thank you for your efforts to ask the questions, to expose the agenda, to try and wake parents and teachers up to what it really is about in helping our children to discover life. living and learning. Thank you, Kara, for taking time to comment. I especially like your point about colleges. Kara, I definitely agree with your statement that “colleges need to stop enforcing students to retake all those high school courses.” I took several AP classes in high school. In addition to providing me with a challenging and interesting curriculum, these courses actually saved me money in the long run. I did have to pay $93 to take an exam. However, if I passed, I would not have to take a 3-credit class in college. If I were to attend my local community college, where tuition is $86 per credit hour, I would have had to pay $258 to take the class in college instead of fulfilling the requirement through a $93 fee. In addition to the monetary benefit of AP classes, the credits enabled me to have more flexibility when selecting courses in college. I can complete a minor that I am interested in without having to attend college for more than four years. The College Board may have its flaws, but I wholeheartedly believe that efforts should be made to improve the program rather than robbing students of a choice to participate in the program. I don’t want my children to take AP classes for the sake of taking AP classes. If it something that they enjoy, do well and want to pursue, then I will let them take the class. I have one that just entered HS and is being pressured to take AP classes in her Sophomore year just for the sake of taking the AP class with NO interest in the subject. The guidance counselors push because the numbers look good for the school ratings (trip to school to discuss that children should NOT be influenced and pressured by the supposedly responsible adults!). The real estate market loves to tout the ratings for the area schools. The local government likes to tout the ratings. Rating schools based on AP and the BS test scores is just wrong. I’m curious about your comment about states paying for teachers to be trained. In my district, two teachers a year, per school, can go to paid trading for one subject, which leaves a lot of teachers untrained, including myself. While this is a whole different issue onto itself, I’m not sure that it’s really costing taxpayers that much. I hate the College Board. With all due respect, I could not disagree more with EVERYTHING that you have stated. I have taught AP classes for many years (27). I also serve as a reader for the college board. I am a VERY strong advocate of AP. Please know that I will fight the good fight against the neo-Marxist mediocrity that you seem to spew. Good Day to you! Which subject do you teach, do you teach AP calculus? , I am a student from Hong Kong , and I can share some of my city’s math exams with you ? That way , you will know what standards should be attained in the USA.